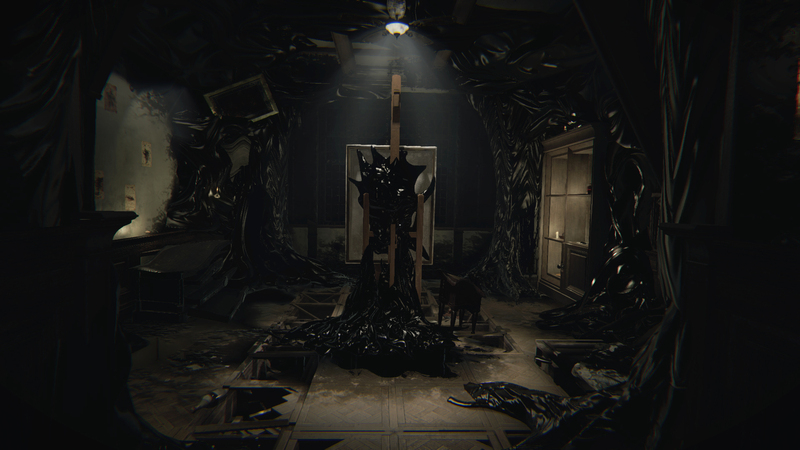 Layers of Fear on PS4 – I'm Scared Already - Reclusive Fox ""
In December, I managed to platinum Fallout 4 and Until Dawn and now I’m looking to the next titles I’d like to add to that list. 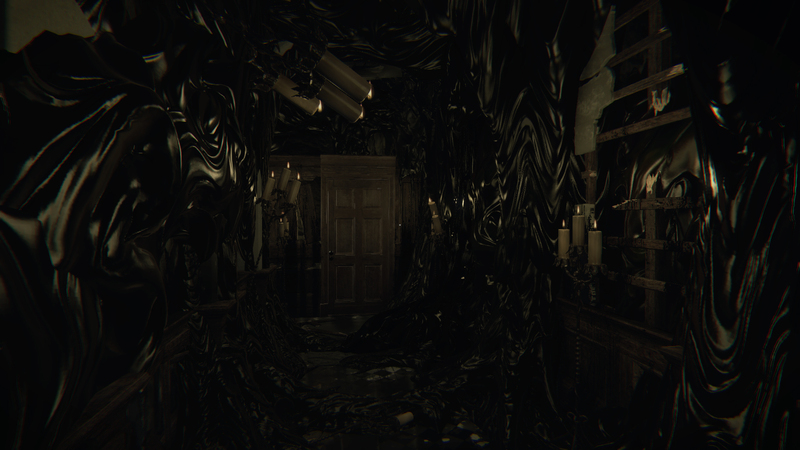 One title I have my eye on is Layers of Fear. I used to be a big fan of horror titles (and horror books plus old horror movies – mainly paranormal though) but I find a lot of them to be disappointing. Sometimes it’s because of the controls or game mechanics, other times it’s because the story just fails to scare (zombies, bore off), or it’s just too damn hard. 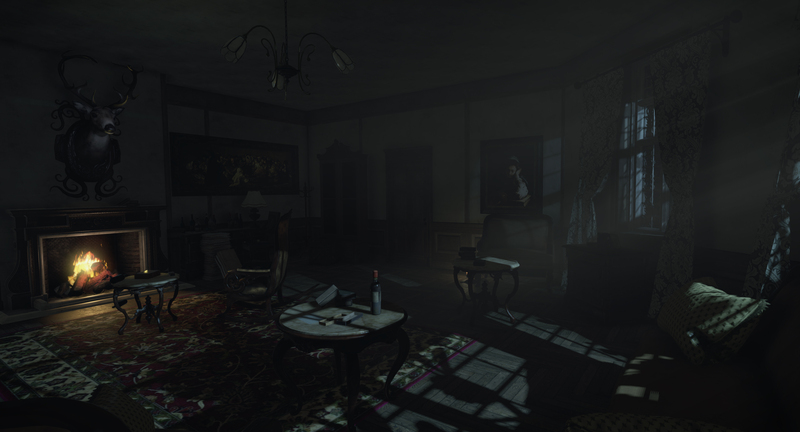 However, Layers of Fear is a game that has got me interested and I just hope it’s not going to be a let-down when I finally get my hands on it. I really hope my mind is strong enough to deal with this psychological horror that’s been developed by Bloober Team. You play as a painter, who is obviously experiencing some kind of madness episode – I have no idea if he’s always been insane or if it’s something new for him, time may tell. It’s first person, so you move around his house that is constantly changing, reflecting the inner turmoil of the artist who is battling his demons in order to come up with a new masterpiece. There will be puzzles to solve of course, how hard they’ll be is as yet unknown to me, hopefully they’ll be challenging but not enough to make my ears bleed. Polygon described it as P.T on drugs – now P.T was one of my favourite gaming experiences in 2014, even though it was only a playable teaser, and that game was INTENSE and I loved it! It’s due to be released in February 2016 (a Valentine’s Day present perhaps, I’d certainly be happy with it!) on PS4, Xbox One and Windows. I’ll be getting it on PS4 and I cannot wait to turn the lights off and dive into the horror, but perhaps only when G isn’t at work. G won’t play it, he’s really not into scares, I think Silent Hill screwed him up a bit when he was a boy… I can make him watch though, mwahahahaha. That’s basically all I know, and that along with the trailer, screenshots and watching a few early access videos on YouTube, is all I need to know. I’m expecting big things from this title – it looks fantastic, fascinating and it’s definitely going to be in my game collection comes to PS4 – I just have to hope I get on with how it plays, because the ideas and screenshots have me hooked already. You’ve just given me an idea for the perfect present for my partners birthday in Feb, he loves his PS4 and this sounds like his type of game! It’s going to be so good! I also want to play Emily Wants to Play but it’s on the PC and my laptop won’t cope as it overheats, might be another option and it’s only £3.99. Happy birthday to your partner for February! I definitely have to see if this is one my son would enjoy. He has a PS4, and this sounds a bit like his thing!